Looking for a perfect roadtrip in Portugal? Here at Totally Spain, we’ve been scheduling self-drive vacations through Portugal and Spain for 18+ years and are specialists in designing tailor-made trips that involve the open road! 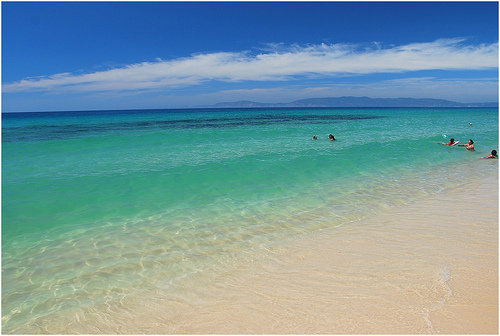 If we have to pick one beach to drive to, it would be Comporta – just one hour from Lisbon. The New York Times praises the “hippie-chic Comporta, a protected nature reserve and former fisherman’s village in the Alentejo region, which is deliberately underdeveloped and teeming with creative European A-listers. Go before the branding happens,” it says. If you want to carry on exploring more beaches, we’ve selected another six great beaches on the Alentejo coast plus the Rota Vicentina trail – which you can read about in our guide to the Alentejo here. Wherever you go in Portugal you’ll find amazing coastline – we also love walking along the 2.5kms of Praia da Claridade beach with its boardwalks, promenade and beachside bars in Figueira da Foz (1hr30 from Porto and 2 hrs from Lisbon). Make sure to try out the amazing ice-creams (which are more like edible sculptures) served at Gelateria San Remo! Nestled in between the Atlantic Sea and Spain, the Alentejo is the garden or breadbasket of Portugal because its flat landscape makes it perfect for growing grapes, cork and wheat. Start out visiting its biggest city – Evora and drive onto Vila Vicosa which is famous for its marble. Visit the marble museum, the castle, the Palace and the Carriage Museum too. Also the cemetery too which features an amazing display of marble headstones and tombs. You’ll find a superb pousada here located in a former convent. And we can arrange a tasting and tour of a local olive oil co-operative or winery. Next stop is Estremoz. Just 22 mins from Vila Vicosa, explore the castle, town walls, charming cobblestones and churches and local barrística (clay pottery). You can stay at the castle which is a pousada. If you have time check out the wineries called ‘adegas’ as well as sampling the local wines when eating out. We like Quinta do Carmo in Estremoz which dates back to the late 15th century, when King John IV is said to have had the estate constructed. More recently the name was connected with Lafite Rothschild, until Bacalhôa Wines of Portugal acquired the entire Quinta in 2008. 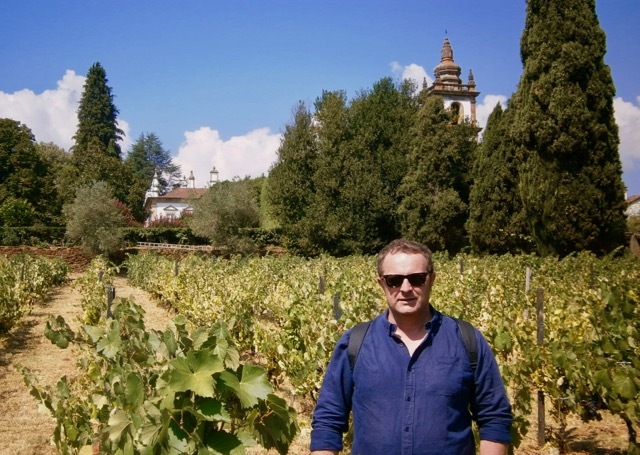 You may also be interested to see the Dona Maria winery in Estremoz run by Julio Bastos who used to own the Quinta do Carmo before selling it to the Rothchilds. 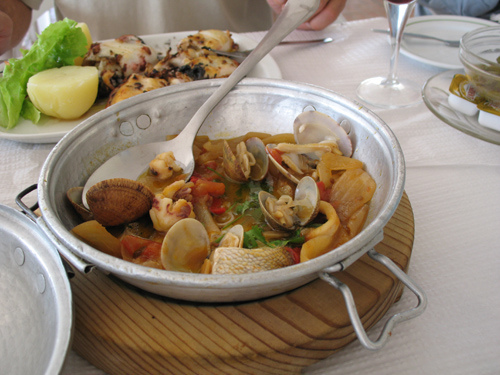 The gastronomy in the Alentejo is truly wonderful – we are big fans of the cataplana! To learn more about this dish and the rest of the gems in Alentejo – read our guide here. Kids love castles so if you are driving with a few children in the back seats – here’s our recommendation. Castelo Novo is exactly 2hr30 from Lisbon and Porto and in addition to the castle, you’ll also get to see a granite houses, a Baroque-style Bica fountain and lots of cherry blossom if you time your visit! Check out the old gallows also! As you’d expect in the frontier territory between Spain and Portugal, there are hundreds of townlands with a castle or a ruin to explore. We recommend travelling on to Almeida overlooking the Côa River which was one of the most important strongholds in Portugal during Modern Age. You can visit the 2.5km of walls which are constructed most unusually in the shape of a 12-pointed star. The 12m deep and 62 m wide fortress ditch is very impressive and if you have more time, the barracks and jails, the city, plus The Misericórdia and the Matriz churches. Motor on to Belmonte, Sabugal, Sortelha, Penamacor and finish up at Castelo Branco which was given the title of ‘Eminent Town’ way back in 1535. You can still visit the Knights Templar castle built between 1214 and 1230. It’s possible to see all six frontier towns in one day (if you really do like your castles) as the full route takes just 4 hours driving time. 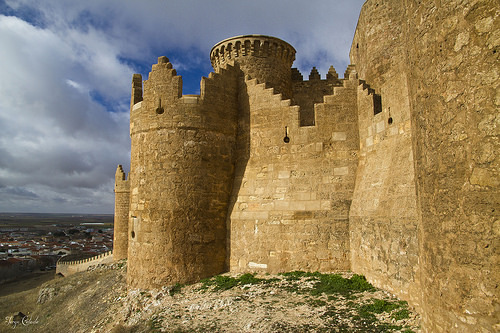 You will be driving parallel to the Spanish border as each of these castles are about 20- 25km from Spanish territory. For more on this Centro region of Portugal see our guide here. You might also want to see the castles in Castile on the other side of the Spanish border. We design many themed driving routes in Portugal and very often Jewish interest itineraries. Many start out in Lisbon or Porto which are great locations for exploring Jewish heritage in Portugal but we are writing about driving routes in Portugal so we’re going to recommend a combination of Evora plus Marvao, Tomar and Coimbra plus – if you have the extra time – adding on Belmonte, Guarda and Trancoso. Until the 16th century, the area located behind the present day’s tourism office in Evora was the Jewish quarter. Keep an eye out for markings on the door jambs in this area – you may find the containers for the mezuzot parchment scroll. But Evora – like so much of Portugal and Spain – has a dark past when it comes to its treatment of the Jewish community. At Evora’s Museum you can see the Inquisition’s money box and bench. It was in Evora that the Inquisition was first established in 1536 – with another office set up later in Lisbon and a third in Coimbra and a fourth in Goa. The others were invaded or destroyed when the Inquisition was abolished in Portugal in 1821 but the office in Evora was preserved as the building passed into private hands. 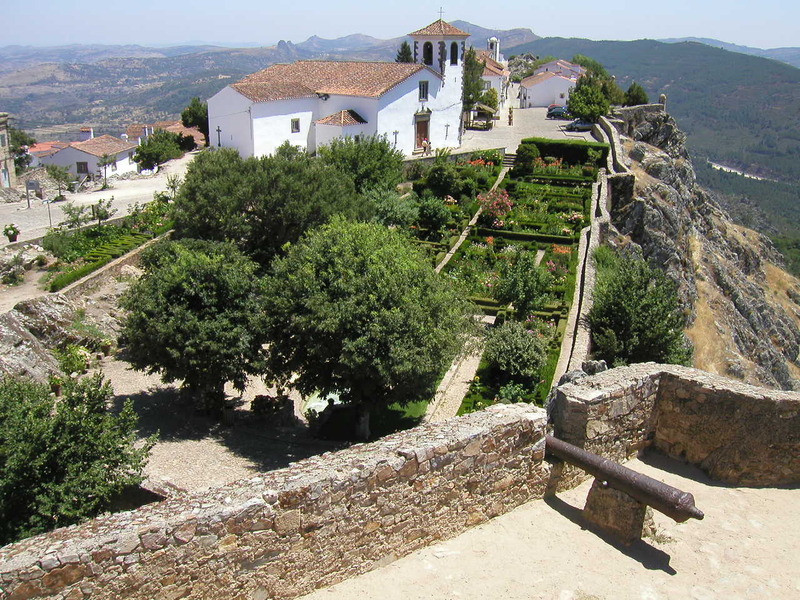 Marvao is said to have been a frontier post for the Jewish community coming from Spain in the 14th and 15th centuries. When you get to the mountaintop “Eagle’s Nest” you’ll see the breathtaking panoramic view. Call into the Municipal Museum inside the walled town which exhibits two tombstones with Jewish inscriptions. Tomar is the last Templar town to be commissioned and offers lots to avid historians including its Jewish Museum and small Jewish synagogue that offers a glimpse of 15th century Jewish architecture in Portugal – revealing the prosperity in which the community lived at this time. To acquaint yourself with the Jewish history of Coimbra, seek out the Jewish Fountain on Rua Olímpio Nicolau Rui Fernandes. And visit the Patio of the Inquistion – which although it bears little resemblance to its original purpose, is nonetheless poignant. Equally poignant is the Praça 8 de Maio, Largo de Sansão – where an auto-de-fe took place. After taking stock of the harrowing events, lose yourself in this famous university city (which transferred from Lisbon here in 1537) and take comfort from the DNI studies which report that as many as one in five Spanish and Portuguese are of Jewish lineage. For more on Jewish heritage trips in Portugal, see our detailed guide here which gives much more detail on these and other key locations. For Jewish heritage sights in Spain, read this guide. It’s possible to hop on a boat in Porto and cruise your way along the riverbank viewing the vineyards or board the train to Pinhao and take it up as far as Pocinho – but if you want to really enjoy the Douro wineries – drive over and book yourself into one of the many wonderful hotels surrounded by the amazingly terraced vineyards. You will need to plan this trip carefully and pre-book tours and tastings as this is still a wine region that is beginning to open itself up to tourism. It’s true that the Douro has been producing grapes for centuries, but it has only been marketing its wine since a law in 1986 enabled the wineries to sell direct rather than to the port lodges in Porto. Before you travel, read up a little on the Douro Boys who back in 2003, got together to make great wines and promote their wine region abroad. Visits to their wineries are strictly by appointment only. (In fact, you may find it easier to tour other wineries in the area and taste the Douro Boys wines in a wine-bar or restaurant. One of the ‘Boys’ runs two hotels – we like his Quinta property nestled in between the vines at Vila Nova de Foz Côa. The Vinho Verde region is a better known and larger wine region in Portugal – beginning north of Porto it expands up to the Spanish border. We recommend the area near Penafiel which is just 45 mins by car from Porto. One of our favourites wineries is the Quinta de Aveleda winery in Penafiel. Here you can tour the winery, the sumptuous grounds and take a wine tasting and if you have more time to spend, you can have lunch at the winery. If you have another day, we’d recommend going further north to Ponte de Lima in the heart of Minho. Here you’ll find some exceptional wine-themed accommodation and activities including Carmo’s boutique hotel and Quinta do Ameal’s organic vines and accommodation. 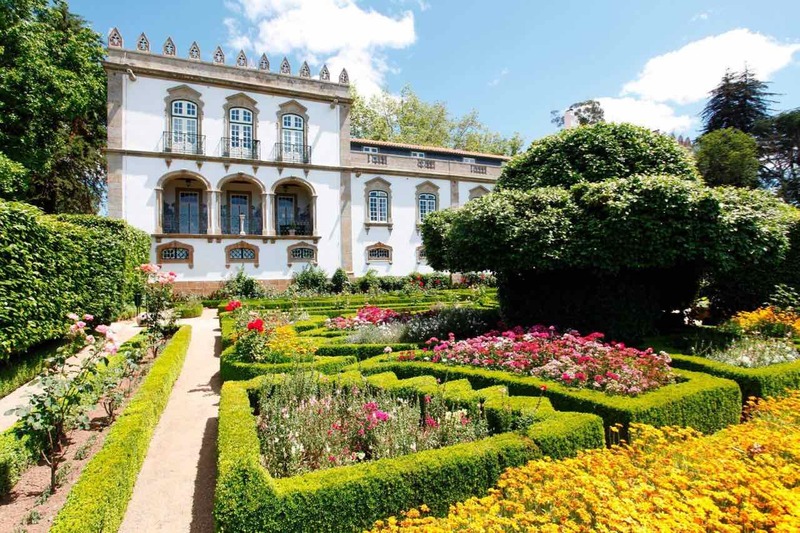 From Penafiel, you can also drive east for 45 mins and visit the wonderful Casa de Mateus Foundation at Vila Real to enjoy the gardens, house and chapel plus the winery which you can see pictured above! Read more about this area of Portugal in our guide to Porto & The Norte Region and Centro Region of Portugal. Although it does seem a bit strange the first time you hear it, many people drive the Camino de Santiago to explore the history and traditions without having to lug the backpack. Often when pilgrims are walking they are so focused on getting from place to place that they don’t have the energy or time to really delve into the history and tour the churches and monasteries and learn about the civilization that built up along The Way. Literature suggests the Portuguese way starts at Lisbon which is 600km from Santiago although if you don’t have more than a few days, we’d recommend starting at Porto which is just 240km from Santiago. 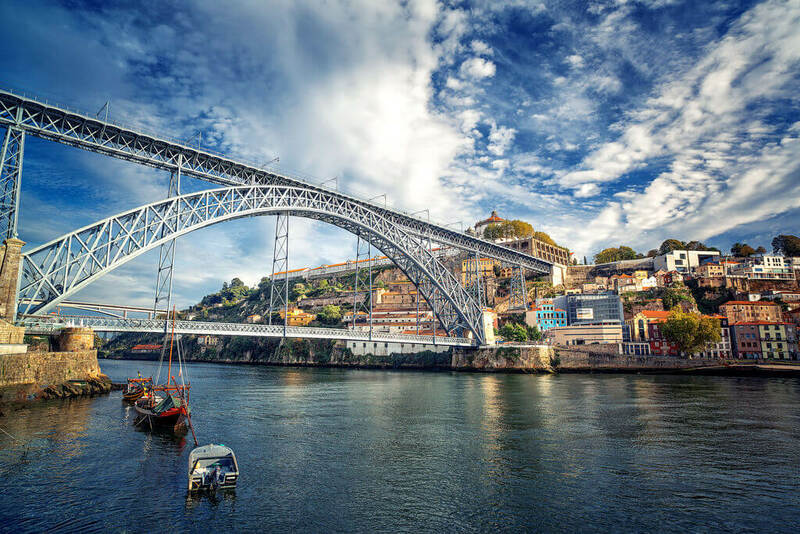 From Porto and its amazing wineries, you’ll pass through Barcelinhos, Ponte de Lima, and cross into the Spanish side to see Tui, Redondela, Padron and Santiago. Tui also written Tuy is one of the most talked about stops on this route but this is not a busy route. Rather like the Primitivo route this is quiet even in July and August. You’ll find lots of English spoken on the Portuguese side of the Camino and from the gastronomy side of things, seafood is king here. When you reach Spain, you can weave around the Rias or Estuaries of Vigo and Arosa and enjoy the Rias Baixas wineries which you can read about here. To read more about Porto and the Norte region of Portugal, click here. For more on driving this ancient Pilgrimage route, see our guide to driving the Camino here. One of the most important elements when planning driving routes in Portugal (or anywhere else) is finding somewhere extra special to stay. You may not know that the first Portuguese Parador opened a few years back and is a great midway break for anybody considering a roadtrip from Madrid to Porto. The Parador itself is a stunning well-maintained 18th century manor house with baroque features complete with swimming pools, games room, library, chapel, museum, the blacksmiths workshop, wine cellar and wonderfully romantic gardens, orchard and olive grove. At the restaurant you can taste the wines and cheeses make on-site, Gastronomy fans can book into workshops and tastings from everything from wine, cheese and jam-making. You’ll find dozens more activities here too including tours of the ice-maker and forgery. And the very extensive gardens and grounds offer plenty space for gambles and strolls. The Parador makes a wonderful base for touring Coimbra (1hr30), Porto (1hr30), and Ciudad Rodrigo in Spain (1hr 30). Check out our suggested itinerary from Madrid to Porto stopping off at Casa da Insua Parador here. And read more about the Centro region here. 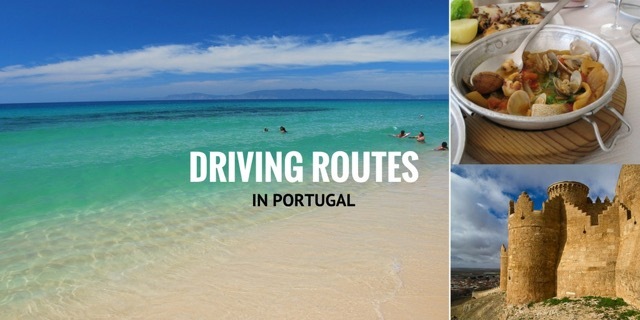 Need a Few Parting Insider Tips for Driving Routes in Portugal? When driving in Portugal you need to provide credit card details to pay motorway tolls – check out our guide to driving in Spain & Portugal to learn more. If you want to enjoy the Portuguese countryside but not be behind the wheel – read our guide to private drivers and guides in Spain & Portugal. Want more advice – or recommendations for Michelin-starred meals or excellent authentic taverns to dine and while on the road? Get in touch! Posted in Getting Around, Portugal, Useful Information and tagged beaches, Camino, car, castles, driver, driving, gastronomy, insider tips, Jewish heritage, Parador, Portugal, Pousada, roadtrips, routes, wineries.